Besides the Moto X Style, Motorola announced second flagship device which is kinda in the line with what other OEMs have done lately. 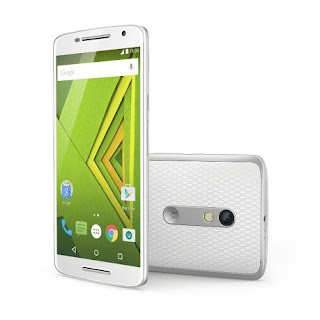 The Moto X Play is a slightly smaller version of the Moto X Style with a 5.5inch HD Display. The Moto X Play is powered by a Snapdragon 615 octacore processor, with 2GB of RAM and a 3630mAH battery with Turbo charging. The Moto X Play also has a 21Megapixel main facing camera with dual flash and a 5Megapixel front facing camera. The Moto X Play would have user exopandable memory via a microSD slot and would be available in August from the Motorola website as well as other retailers. The Moto X Play is expected to start well below the $399 of the Moto X Style.